Any kind of training or teaching takes planning, and planning can take a lot of time. There is so much to consider, for example, how are you going to help trainees or students to become competent in a task or knowledgeable in a specific field. Lesson and training plans can take up the bulk of a teacher or trainer’s time. With a training agenda template, you can systematically go through the data fields or spaces to create a realistic and detailed training agenda. 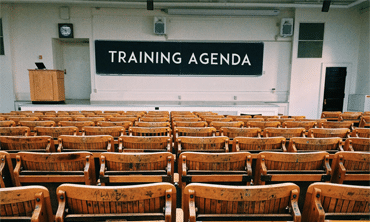 How Will a Training Agenda Help You Organize Your Meeting? 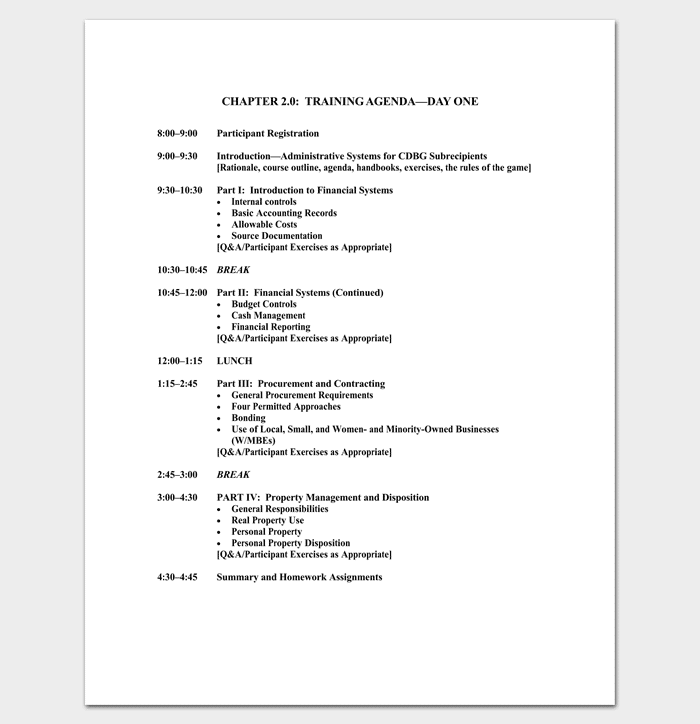 An Employee Training Agenda Template provides the framework for planning employee training and development. 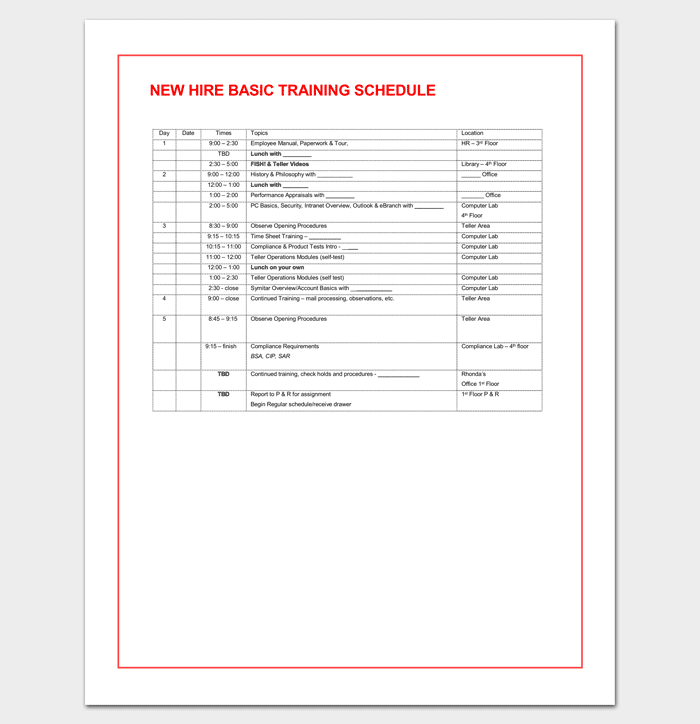 Employee training needs to be efficient and can be kept on track with an agenda template. A training agenda can help workplace teachers and trainers to cover key points and achieve required outcomes in the time allotted. Ensuring that the right resources are on hand is crucial and with a training agenda, you assess what materials are required easily. 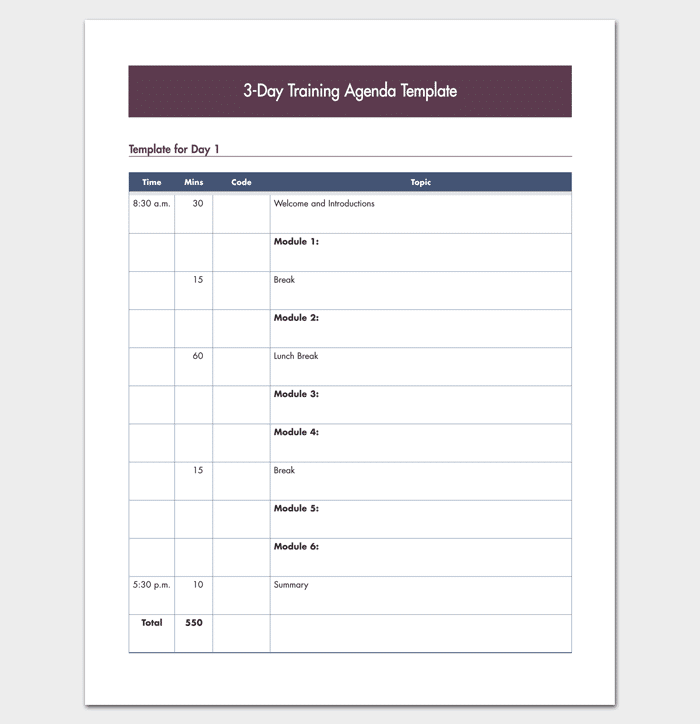 A training meeting agenda template allows you to keep track of training discussions and duty allocation. 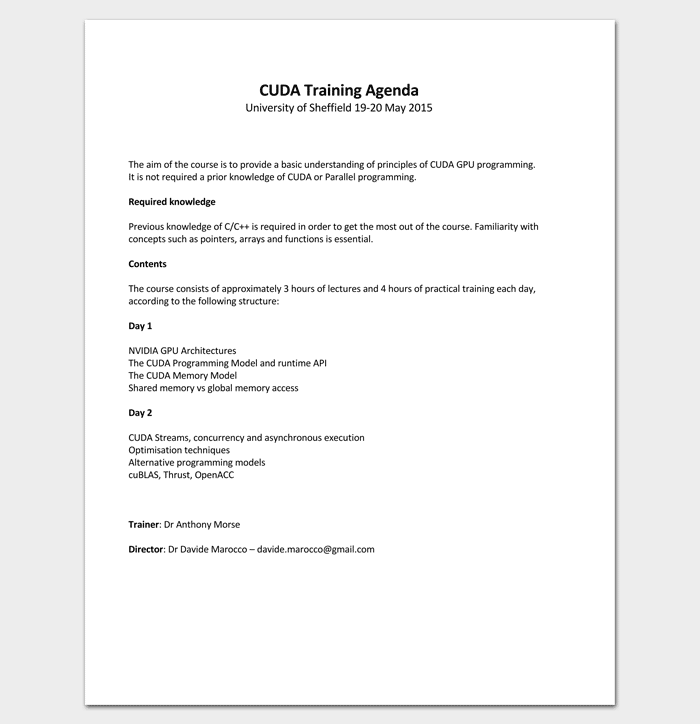 A comprehensive training meeting agenda is a key resource for anyone planning development and training. Whether you are developing a training program alone or as part of a group or committee and agenda is a great way to keep on target. Meeting agendas need to be simple to understand and easy to use and a template is an easy and effective way to create a great agenda. A training agenda is an invaluable asset when making sure that your meeting covers all of the key points that are necessary to develop a comprehensive and effective training program. Meetings, particularly those with quite a few people present, can get off track and fail to cover the issues required. With a Training agenda, you can refocus and achieve key outcomes. Key outcomes – Make sure you identify what you need to achieve. Without identifying the goals in your agenda you may waste valuable time and focus. The key outcomes should reflect the training needs and requirements of the organization for which the training is taking place without diversion. Detailed Method and Materials – A training agenda needs to outline the method, that is the way the each module is delivered, and the materials that will be required to teach the module. Whether the materials are books or juggling balls, it is important to make a clear note so these supplies are provided. Flexibility – Whilst creating a great training agenda will help you determine exactly how you are going to complete your training goals it is important to build in some flexibility that will allow you to tailor your approach to accommodate unforeseen circumstances. Practice and Estimate – To ensure that you know how much time completing each task will take it is important to run through the task or activity, enabling you to provide an informed estimate of how much each task will eat into your allotted training time. Start with a Template – Planning the training should be the focus of your attention, not having to design a whole document from scratch. Using a purpose designed template to create your training agenda allows you to dedicate more of your time to providing high-quality training and development.